The peacock network has picked up American Ninja Warrior for next season. The competition will return for its fourth season on NBC and for its seventh season overall. It began on the G4 cable channel (now Esquire Network) in 2009 and currently airs in partnership between Esquire and NBC. 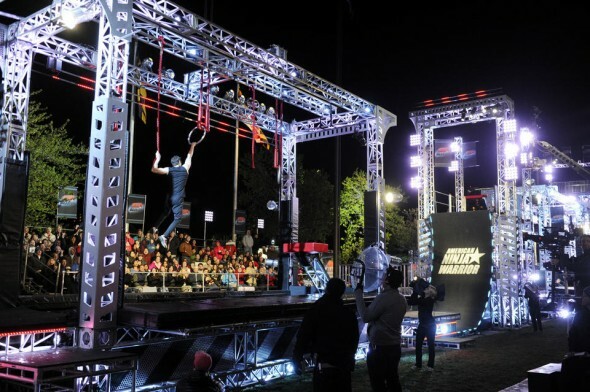 Airing on Monday nights, American Ninja Warrior is up by 10% year-to-year and is NBC’s second-highest rated show of the summer. It’s currently averaging a 1.7 rating in the 18-49 demographic with 5.0 million total viewers. The network also renewed America’s Got Talent and Last Comic Standing today. What do you think? Do you like this show? Are you glad that NBC will keep airing it? Do you watch it on Esquire? Love this show. Can’t wait for it to start. Oh yeah I will Watch it Next year the entire season 7 of “American Ninje Warrior” in Summer of 2015 !!! Matt Iseman,I will watch it in 2015!!!!!! !